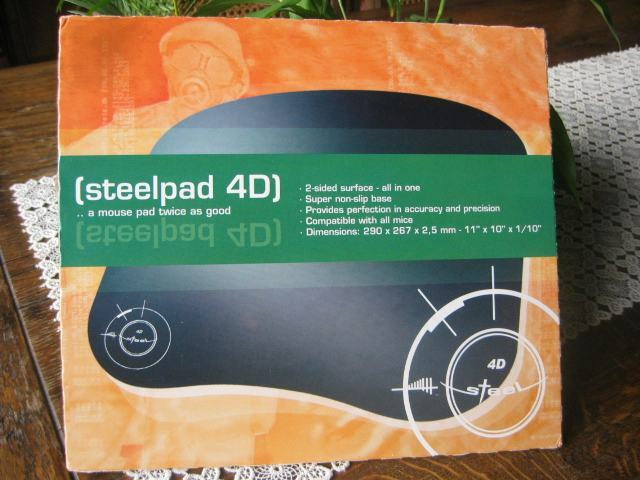 The Steelpad 4D is one of Steelpad's newest mousepads. Unlike their other mousepads, the Steelpad 3S and 4S, this one is not made out of a metal, but out of plastic. 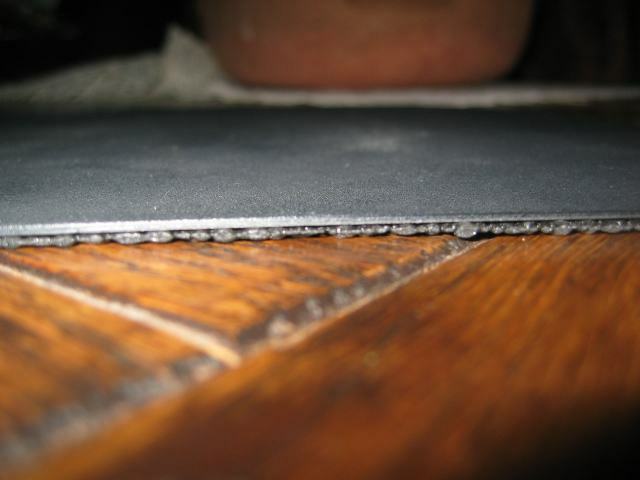 It has two different surfaces, a smooth and a rough one. 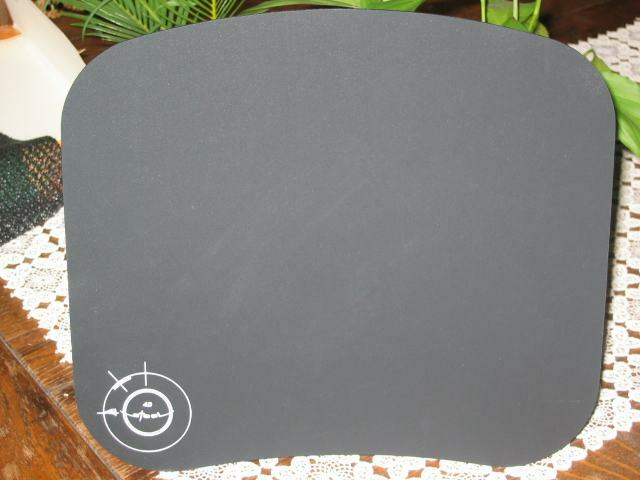 Light, slim, great size, stick to the table, two different surfaces. Description: Length 290 mm - Width 257 mm - made from plastic - Thickness 2 mm (base included). 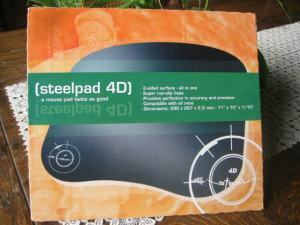 Inside are two things: the mousepad with two useable plastic sides and a non-slip base. The first photo is the smooth side and the other one is a picture of the rough side. The rough side is ment for optical mice because most of them will have serious tracking problems on the smooth side. And the other thing included in the package was this rubber non-slip base which you need to put under the mousepad to prevent slipping on your desk. 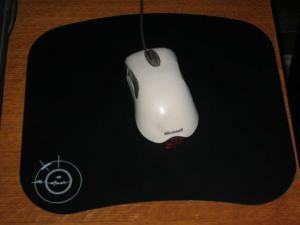 I have tested this mousepad with both the Microsoft IntelliMouse Optical and the new Logitech MX1000. 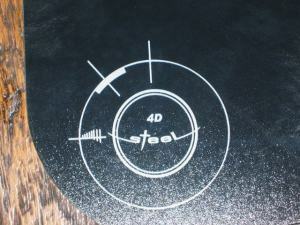 The IntelliMouse Optical worked perfect on the rough side but did not work on the smooth side. 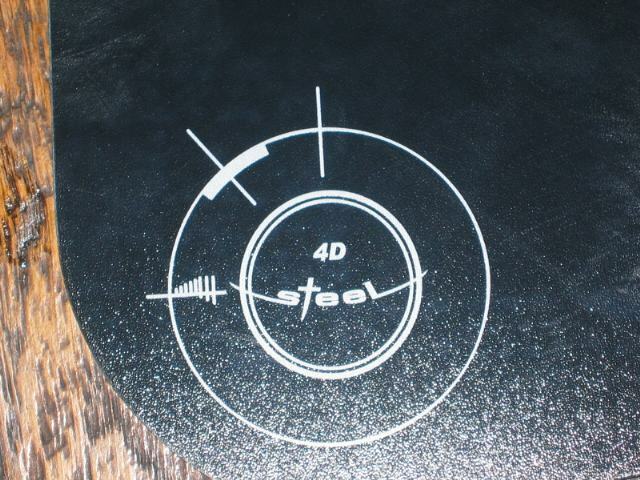 The MX1000 worked perfect on both sides, I think this is because of its improved laser tracking system. 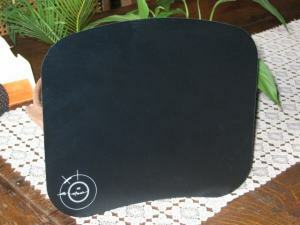 A good mousepad but at first at can look a bit strange with the separated rubber non-slip mat. Everytime you move your mousepad you will have to reposition the mat so it's a quite awkward system. 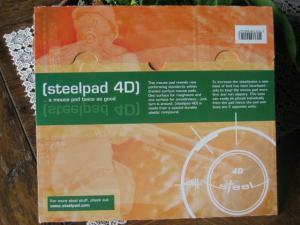 The Steelpad 4D can be bought over at Steelpad.com. 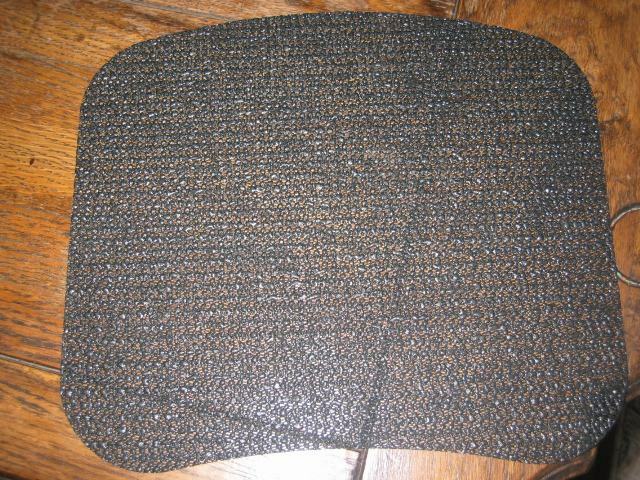 The price is EUR 19.95 · USD 24.95 + shipping.